Halep, the world number one, found herself a set and a break down to a superb Stephens, though the Romanian took 12 of the last 15 games to capture a slam title that had so far eluded her. 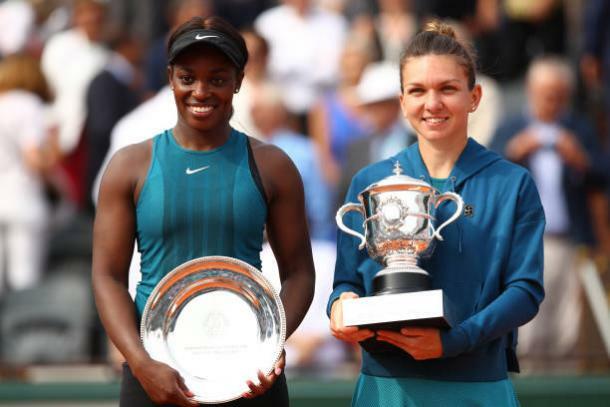 World number one Simona Halep finally captured her maiden Grand Slam title on Saturday afternoon, with the Romanian battling from a set and a break down to overcome tenth seed Sloane Stephens and finally claim the French Open title. Halep was perhaps the marginal favorite heading into the clash, though for many it was evenly poised with both her and Stephens, the US Open champion, playing some incredibly impressive tennis heading into this showpiece. 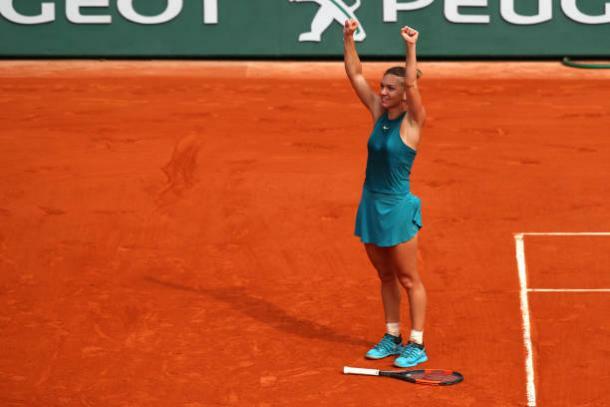 It seemed at one point that the Romanian was destined for a fourth Grand Slam final defeat, with the American up 6-3, 2-0 having played some superb tennis, though a dip in her form and rise in Halep’s saw the latter level up and then run away with the decider. She eventually prevailed 3-6, 6-4, 6-1 in two hours and three minutes. There was a real contrast coming into the final, with Stephens having never lost a career final and Halep coming in with three tough Major final losses, including a loss from a break up in the decider at the Australian Open this year and a loss to Jelena Ostapenko in the final of this tournament one year ago, where she led by a break in the second and third sets. Early on, it seemed that the Romanian was set for another defeat on one of the sport’s biggest stages. It was Stephens who started brightly, securing what proved to be the only break of the opening set as she built a 4-1 lead out on Court Philippe Chatrier. Halep was not playing badly by anyone’s standards, though the American was playing some staggeringly good tennis and proved too solid, saving a break point at 5-3 to successfully serve it out. 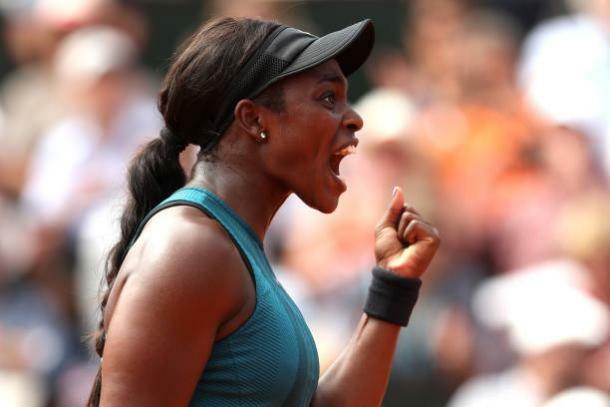 After such an impressive opening set, it seemed that Stephens would begin to run away with the final as she broke for a 2-0 lead, though perhaps the American began to struggle under the pressure as a few errors began to creep into her game. Halep rebounded incredibly strongly, winning four straight games, though lost her break advantage as the tenth seed briefly steadied the ship. However, the world number one broke down the American in the final two games, and broke at 5-4 to take the match to a decider. Momentum was now fully with Halep, and unlike in some of her previous slam finals, she did not buckle under the immense pressure on her. With Stephens now way off the level she displayed early on, Halep was able to break early on for a 3-0 lead, and continued to play superb tennis as she broke for a second time, consolidating for a 5-0 lead. Stephens managed to force Halep to serve it out at 5-1, though an unreturnable serve on her first match point finally handed the Romanian the Grand Slam title she had been hoping for. Halep has come under criticism in recent months for struggling in finals, in both Grand Slams and on the WTA Tour, though has surely silenced any doubters in a victory that makes her only the second Romanian woman to win a Slam singles title, following Virginia Ruzici’s triumph at this tournament 40 years ago. Halep remains at world number one and it seems likely that more slams await in her future, whilst the same could be said for Stephens, who is now at a career high of fourth and by no means disgraced herself on her second slam final appearance.